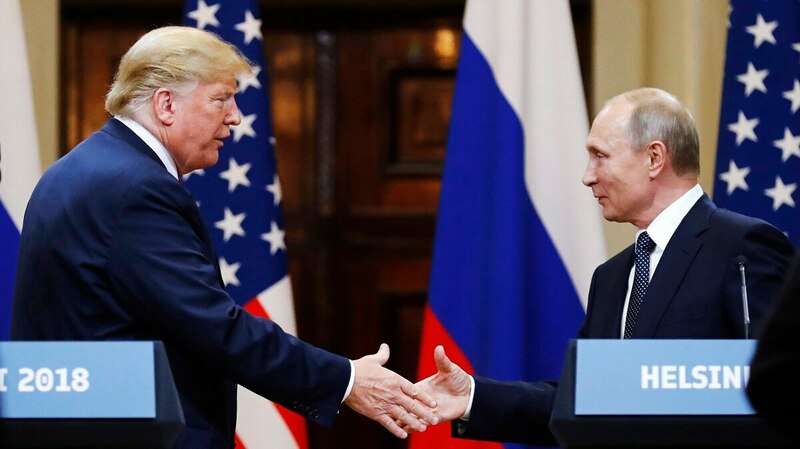 WASHINGTON — The Trump administration is moving to abandon the Intermediate-Range Nuclear Forces Treaty, per multiple reports, removing a key arms control treaty between the United States and Russia. According to both The Guardian and The New York Times, national security adviser John Bolton has recommended the U.S. leave the agreement and will inform Russia of the move next week. The INF Treaty, signed between the U.S. and Russia in 1987, bans all land-based cruise missiles with a range between 500 and 5,500 kilometers. While the Obama administration had accused Moscow of violating the agreement, Pentagon officials have been more vocal under the Trump administration about their concerns. The issue became public due to March 2017 comments from Gen. Paul Selva, vice chairman of the Joint Chiefs of Staff, saying Russia’s deployment of a ground-based cruise missile violated the agreement. Russia denied that, but since Selva’s speech, Defense Department officials have been increasingly outgoing with their concerns. To those officials, if Russia is violating the agreement while the U.S. is holding to its standards, it harms America’s defensive posture. With those concerns in mind, since coming to office, Secretary of Defense Jim Mattis has been publicly ambivalent about the value of the treaty, particularly when asked about the agreement on Capitol Hill. During an Oct. 2 NATO meeting, Mattis seemed to hint that a decision on America’s role in the INF agreement was coming. “I want the advice from the NATO nations, what do we do with a treaty that two nations entered into, one is still living by — that’s us, the United States — and Russia is not,” Mattis told media. “So I’m going to lay out the situation, which we’ve discussed before here at NATO. But I want their advice as I return to Washington, D.C., and enter into these discussions. Two days later, Mattis underscored his comments, saying: “Russia must return to compliance with the INF Treaty, or the U.S. will need to respond to its cavalier disregard of the treaty’s specific limits. “Make no mistake: The current situation with Russia in blatant violation of this treaty is untenable, and we discussed this situation at length during this ministerial meeting among trusted allies." Will the US trade its new sub-launched cruise missile for Russian arms treaty compliance? The Pentagon wants a new nuclear-armed cruise missile. But is it just a ploy to get Russia to change its tune on an arms treaty? “Treaties are not ornament pieces to be collected; they’re supposed to be tools that serve U.S. interests. The Russians have been on notice to become compliant for years now. The Obama administration tried to force them to comply and so has the Trump administration,” Heinrichs added. “For Bolton, the tolerance for being treated as suckers is exceptionally low." “Overall, defense hawks in Moscow and Washington appear to have hijacked foreign policy and thrown the arms control baby out with the bath water instead of trying to repair relations and repair treaties and strengthen international security,” Kristensen said. Even before today’s news, the U.S. was working to fund research and development on a ground-based cruise missile, a system banned under the INF agreement. The line from the Pentagon throughout 2018 has been that such a weapon would be designed but not deployed, staying with the treaty boundaries while providing a potential threat or trade-off for negotiations with Russia. The threat of upgraded nuclear capabilities has a public topic of discussion by Pentagon officials as part of a broader negotiation to try and force Russia back into compliance on the treaty. Greg Weaver, then deputy director for strategic stability on the Joint Staff J5 directorate, said during a Feb. 1 meeting with media that he viewed the announced development of a new sea-launched nuclear cruise missile, allowed within the INF Treaty boundaries, as part of a potential trade-off. Mattis picked that thread up during a Feb. 6 House Armed Services Committee hearing, saying: “I want to make certain that our negotiators have something to negotiate with, that we want Russia back into compliance. We do not want to forgo the INF [Treaty], but at the same time we have options if Russia continues to go down this path. Tara Copp with Military Times contributed to this report.